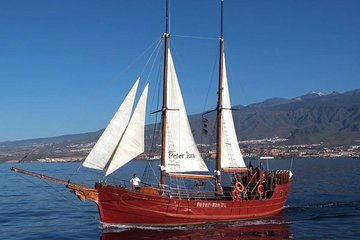 Cruise around Tenerife on board a historic schooner during this scenic tour. Hear stories about pirates that used to roam around the Canary Islands while sailing in the calm waters of the bay of Puerto de Los Cristianos. Choose between two routes and relax over lunch and an open bar. Keep your eyes open for dolphin and whale sightings.